NYC, 04/15/2019, 12:00PM. In Putin's Footsteps: Searching for the Soul of an Empire Across Russia's Eleven Time Zones. 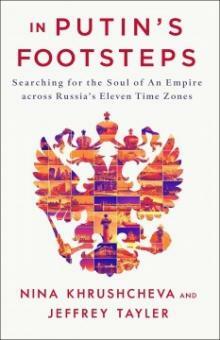 The book follows the authors as they traveled across Russia’s eleven time zones and examined how a town in each time zone is defined by certain factors – politics, natural resources, educational institutions, society, ethnic and religious diversity, and strategic geographic assets – to create a portrait of Russia. They ultimately argue that these factors make Russia one of the two indispensable nations on Earth, the other one being the United States. With Nina Khrushcheva.